Students who enter institutions of higher education agree to know and abide by the rules of their institutions. Listed in this section of the catalog are some of the specific regulations which govern student and academic programs. Other regulations are listed in the Student Handbook. A complete set of academic regulations is available to students in the Office of the Dean of Students, SUL (Student Union and Library), Room 313 at Calumet location and, Library-Student Faculty Building Room 103 at the Westville location. Students are expected to know the requirements for the degree(s) they are pursuing, and can view requirements, degree maps, and consider other degree options via the Programs of Study page . Students are expected to meet with their academic advisor every semester in order to ensure continued progress toward their program of study requirements. The academic calendar shall consist of two, 16-week semesters and one summer session. Refer to our website at http://www.pnw.edu/registration/ for exact dates on the registration calendar. Students are assigned to an academic program and advisor based upon the major on their initial application and the admissions decision. Students opting to change their major may do so by competing a Change of Degree Objective form and receiving appropriate approvals. The Change of Degree Objective form is available online at: http://www.pnw.edu/registration/change-of-degree-objective/. Pre-registration for future semesters is ongoing. Registration dates can be found on the University academic calendar. Registration may be done via the web (if cleared by the student’s advisor) or in the office of the advisor. Drop and Adds may also be processed via the web. Payment may be made by web, mail, or in person. The deadline for payment of fees occurs before the first week of classes. The late registration period for the fall and spring semesters ends on Friday of the first week of classes. In the summer session, the late registration period ends on Wednesday of the first week of classes. Registrations during this period will be assessed late registration fees (see Fee section). There are three registration periods for the fall, spring, and summer sessions. PRIORITY REGISTRATION: allows students an opportunity to pre-register in order to enroll in the courses they need. OPEN REGISTRATION: for students unable to register early and for students who may need to adjust their schedules. LATE REGISTRATION: held during the first week of classes (special schedule for summer) and to allow students to make section and class changes. A penalty fee is charged to students who enroll during this period. Students may add courses during the first four weeks of the semester by submitting a completed add/drop card to the Office of the Registrar. The signatures of both the academic advisor and instructor of the class being added are required during the second, third, and fourth weeks of the semester. Student Athletes must contact the Athletic Department in order to process changes to their semester schedule. Signatures are required for these changes. Week 1 No approval required. Week 2-4 Approval of academic advisor and instructor. Week 5-9 Extenuating circumstances only. Approval of academic advisor, instructor and head of the department in which the course is listed. Students may withdraw from courses by submitting an add/drop card to the Office of the Registrar. The time period in which a student withdraws from a course determines the recording of the course on the student’s transcript. The following guidelines apply to the sixteen week Fall and Spring semesters only. Accelerated term and Summer term refund schedules are calculated based upon a modified schedule. Students are expected to be present for every meeting of the classes in which they are enrolled. All matters relative to attendance, including making up of work missed, are matters for arrangement between the student and instructor involved. It is expected that all instructors will, at the beginning of the semester, make a clear statement to all of their classes regarding their policy for handling absences. Students who fail to meet their class engagements satisfactorily may be denied credit for exercises missed. The instructor will be responsible for counseling with the student whose absences endanger academic performance. A problem of excessive absences may be referred to the Dean of Students by either the instructor or the student if further information is needed or if either feels that further discussion would resolve the problem. Instructors obtaining information concerning the absence of a student due to personal factors are requested to report such knowledge at once to the Dean of Students. If a student is absent from all the meetings of any regularly scheduled class for a period of two successive weeks, the student may be reported to the Dean of Students for appropriate action. Class attendance is mandatory for Title IV financial aid recipients. In order to withdraw from any class, a student must complete a drop card and submit it to the Registrar’s Office. Students with loans making a change in enrollment may revise their financial aid award. The student should notify the Office of Financial Aid immediately if there is a change in enrollment. Discontinuance of class attendance is not the basis for withdrawal. Students who do not notify the Registrar’s Office when they plan to withdraw will be given a failing grade in each course involved. 1. Credits in excess of 18 hours during a regular session should be carefully monitored by the academic advisor, who may wish to consult with appropriate University personnel concerning the student’s prognosis for success. Unless the student’s curriculum requirement for that session is specified as greater than 18 credits, approval by the dean of his/her school or the dean’s designee must be obtained before the student may be assigned more than 18 credit hours. 2. In summer session, a student may not be assigned to more than nine credit hours without approval by the dean of his/her school or the dean’s designee (University Senate Document 83-5, as amended and approved January 23, 1984). Upon the completion of the semester or summer session, an undergraduate student may transfer enrollment from Purdue University Northwest to another Purdue University campus, provided all requirements are met. Program requirements vary. To initiate this process the student must complete the undergraduate application at the campus they wish to attend. Following this procedure an Authorization for Enrollment form from the intended campus of registration and instructions for registration will be sent to the student. Students must be admitted to a degree program of Purdue University before they are eligible to transfer. Students must meet all deficiencies and be academically admissible to a desired program prior to seeking admission to another school. A student’s academic classification for an associate or bachelor’s degree shall be classified by numerals 1, 2, 3, etc., corresponding to the total number of credit hours of college work earned. The starting date for degree requirements for an approved curriculum is the Fall semester of the academic year. When a new or revised curriculum or degree requirement is approved by a college or school, the new requirements shall not apply to students currently enrolled in the University. This limitation will expire 6 academic years after the new/revised curriculum is adopted. Current students may elect to use the new/revised curriculum or degree requirements for graduation on written request to the school or college. Curriculum or degree requirement changes made to satisfy requirements for professional accreditation may have a starting date in the semester in which the changes are made. E Conditional failure, meaning failure to achieve minimum objectives, but only to such limited extent that credit can be obtained by examination or otherwise without repeating the entire course. This grade represents failure in the course unless the record is changed within one semester, by examination or otherwise. In any case, the grade cannot be changed to any other grade but a D.
F Failure to achieve minimum objectives of the course. The student must repeat the course and complete it satisfactorily in order to establish credit for it. An instructor may require a recommendation from the Dean of Students or a designee that the circumstances warrant a grade of I. The student must achieve a permanent grade in the course no later than the twelfth week of the second semester subsequent to the enrollment. If not, the I will become IF. If the student is not enrolled for a period of three years following the semester in which the incomplete is given, the incomplete grade will be permanent. The grade will not revert to a failing grade, nor will the student be able to earn credit for the course by completing the work. THIS ACADEMIC REGULATION DOES NOT APPLY TO INCOMPLETES RECEIVED PRIOR TO SUMMER 1999. PI — Incomplete, no grade; same as I for student enrolled in pass/not pass option. SI — Incomplete, no grade; same as I for student enrolled in zero-credit course. W Withdrew; grade records that student was enrolled in a credit course and withdrew or cancelled the course after the third week (see Registration for summer schedule). IF Assigned by the Registrar; failure to complete an I grade by the twelfth week of the second semester subsequent to enrollment in a credit course. Counted as an F in the scholarship index. IN Unremoved incomplete and failing; failing to complete a pass/not pass course in which the student received a PI by the twelfth week of the second semester subsequent to enrollment in the course. Does not affect scholarship index. IU Unremoved incomplete and failing; failing to complete a zero-credit course in which a student received an SI by the twelfth week of the second semester subsequent to enrollment in the course. Does not affect scholarship index. IX Assigned by the Registrar; student not enrolled three years after incomplete was given, then incomplete will be permanent. Does not affect scholarship index. NS Assigned by the Registrar; for those course grades not submitted by the instructor. In order to provide students with the opportunity to broaden their educational foundations with minimum concern for grades the university faculty has provided an alternative grading system in which a student may take a limited number of courses as Pass/No Pass. Each student who would have earned a Grade of A+, A, A-, B+, B, B-, C+, C or C- has passed the course and that any other such student has not passed. The specific regulations stipulating when this option may be used are determined by the school administering the curriculum of the student. For purposes of reports and communications to other institutions and agencies and in the absence of any further qualification of the term, a student shall be considered in good standing unless he or she has been dismissed, suspended, or dropped from the University and has not been readmitted. The scholastic standing of all undergraduate students enrolled in programs leading to a degree shall be determined by two scholastic grade point averages (GPAs). The semester GPA and the cumulative (overall) GPA. The semester GPA is an average determined by weighting each grade received during a given semester by the number of semester hours of credit in the course. The cumulative GPA for an undergraduate student is a weighted average of all grades received by a student while enrolled in the curriculum plus all other grades received in courses taken in other curricula offered by the University and properly accepted for satisfying the requirements of the curriculum of the school in which the student is enrolled. With the consent of the appropriate academic advisor, a student may repeat a course. In the case of courses which have been repeated, or in which conditional grades have been removed by examination, or for which a substantially equivalent course has been substituted, the most recent grade received shall be used. Academic standing will not be assessed in summer sessions. According to University Regulations, when a student who is academically dropped from the University for the first time is not eligible to enroll for at least one fall or spring semester. A student who is academically dropped for the second time is not eligible to enroll for at least one calendar year. After completing the required sit out period, a student may petition for readmission to the Purdue campus he or she wishes to attend. Purdue students requesting readmission must complete an online readmission application through our website http://www.pnw.edu/admissions/ and pay a $100 non-refundable fee. The fee must be paid by the designated deadline in order for the application to be processed. For inquiries regarding the readmission process, please call the Office of Undergraduate Admissions at (219) 989-2213 or toll free at (855) 608-4600. Completion of Program Requirements. Completion of the plan of study for the degree, either by resident course work, examination, or credit accepted from another institution, of the plan of study underlying the degree. Ten Year Rule. Deans of the college which administers the student’s major can refuse to accept for graduation credit any course completed 10 or more years ago. Reentering students will be notified immediately of all such decisions upon reentering. Substitution of Courses. Deans of the college which administers the student’s degree may authorize substitutions for courses for graduation. Residency Rule. Resident study at Purdue University Northwest for at least two semesters and the enrollment in and completion of at least 32 semester hours of coursework required and approved for the completion of the degree on Purdue University Northwest campuses. These courses are expected to be at least junior-level courses (course credits are defined as resident credits). Students must earn a minimum of 50 percent of coursework in their major concentration area in resident study with resident credit as defined above. A college/school/department/program may require more than 50 percent of resident credit to fulfill a major concentration for a given program. Students normally are expected to complete the senior year in residence; however, with the approval of the dean of the school college concerned, a student who has had four semesters of resident study may complete the last year or a portion of it at another college or university, provided that the number of semester hours of credit to be taken does not exceed 25 percent of the total hours required for the degree. The foregoing stipulations do not apply to students who earn credit elsewhere through a contract or arrangement entered into by the University or one of its academic units. A minimum cumulative GPA of 2.00 shall be required for graduation. A student who has completed all other requirements for an associate degree, but has failed to meet the quality requirements may register for additional courses with the approval of an authorized representative of the dean of his/her school after a review of his/her record. The additional courses that the student may take after meeting all quantity requirements shall not exceed 10 credit hours. Credit in these additional courses must be established within three years of the date on which all degree requirements except the minimum cumulative GPA were met. The student will be considered as having met the quality requirements for graduation if his/her graduation index including the above extra courses, meet the quality standard in effect at the time when all other graduations requirements were satisfied. Assessment The University expects its students to complete all assessment procedures related to General Education and/or major field as required. 1. Completion of Program Requirements. The completion of the plan of study for the degree, either by resident course work, examination, or credit accepted from another institution, of the plan of study underlying degree. Ten Year Rule. Deans of the college which administers the student’s major can refuse to accept for graduation credit any course completed 10 or more years ago. Re-entering students will be notified immediately of all such decisions upon reentering. 2. Experiential Learning. Experiential learning is a graduation requirement. This approach to teaching allows students to go beyond theory based learning and explore ways to gain practical knowledge within their program of study. For students admitted Fall 2017 and beyond, Purdue University Northwest will require one experiential learning course for students graduating with a baccalaureate degree. Your academic advisor will assist you in selecting an experience that is right for you. 3. Residency Rule. 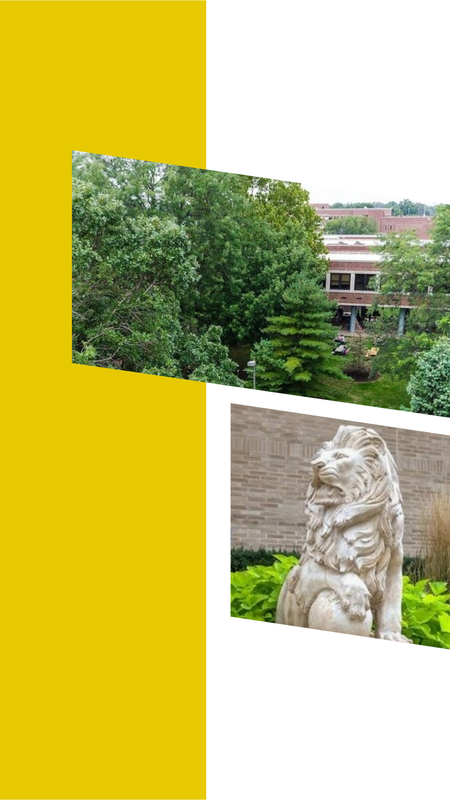 Resident study at Purdue University Northwest for at least two semesters and the enrollment in and completion of at least 32 credit hours required and approved for the completion of the degree on Purdue University Northwest campuses. These courses are expected to be at least junior-level courses. Students must earn a minimum of 50 percent of coursework in their major concentration area in resident study with resident credit as defined above. A college/school/department/program may require more than 50 percent of resident credit to fulfill a major concentration for a given program. Students normally are expected to complete the senior year in residence; however, with the approval of the dean of the college concerned, a student who has had four semesters of resident study may complete the last year or a portion of it at another college or university, provided that the number of semester hours of credit to be taken does not exceed 25 percent of the total hours required for the degree. The foregoing stipulations do not apply to students who earn credit elsewhere through a contract or arrangement entered into by the University or one of its academic units. 5. A minimum cumulative GPA of 2.00 shall be required for graduation. A student who has completed all other requirements for a bachelor’s degree, but has failed to meet the quality requirements may register for additional courses with the approval of an authorized representative of the dean of his/her school after a review of his/her record. The additional courses that the student may take after meeting all quantity requirements shall not exceed 20 credit hours. Such a student may take in another approved college or university not more than 9 of the 20 credit hours permitted, provided such courses are approved in advance in writing by an authorized representative of the dean of his/her school. Copies of approvals must be filed in the Office of the Registrar. Credit in these additional courses must be established within five years of the date on which all degree requirements except the minimum cumulative GPA were met. The student will be considered as having met the quality requirements for graduation if his/her cumulative GPA, including the above extra courses, meets the quality standards in effect at the time when all other graduation requirements were satisfied. 6. Assessment: The University expects its students to complete all assessment procedures related to General Education and/or major field as required. Pass/no-pass grades and credits do not count in hours totals for either category of honors. The completion, either by resident course work, as directed credit, or by credit accepted from another institution, of the plan of study underlying the degree. Deans of schools may refuse to accept as credit toward graduation any course that was completed 10 or more years previously. Former students shall be notified immediately of all such decisions upon reentering. Substitutions of courses required for graduation may be made by the dean of the school conferring the degree. Resident study at Purdue University Northwest for at least two semesters and the enrollment in and completion of at least 32 semester hours of coursework required and approved for the completion of the degree on Purdue University Northwest campuses. These courses are expected to be at least junior-level courses (course credits are defined as resident credits). Students must earn a minimum of 50 percent of coursework in their major concentration area in resident study with resident credit as defined above. A college/school/department/program may require more than 50 percent of resident credit to fulfill a major concentration for a given program. Students normally are expected to complete the senior year in residence; however, with the approval of the dean of the school college concerned, a student who has had four semesters of resident study may complete the last year or a portion of it at another college or university, provided that the number of semester hours of credit to be taken does not exceed 25 percent of the total hours required for the degree. The foregoing stipulations do not apply to students who earn credit elsewhere through a contract or arrangement entered into by the University or one of its academic units. Registration, either in residence or absentia, as a candidate for the desired degree during the semester (or summer session) immediately preceding its conferment. A minimum cumulative GPA of 2.00 shall be required for graduation. A student who has completed all other requirements for a bachelor’s degree but has failed to meet the quality requirements may register for additional courses with the approval of an authorized representative of the dean of his/her school after a review of his/her record. The additional courses that the student may take after meeting all quantity requirements shall not exceed 20 credit hours. Such a student may take in another approved college or university not more than 9 of the 20 credit hours permitted, provided such courses are approved in advance in writing by an authorized representative of the dean of his/her school. A copy of such approval must be filed in the Office of the Registrar. Credit in these additional courses must be established within five years of the date on which all degree requirements except the minimum cumulative GPA were met. The student will be considered as having met the quality requirements for graduation if his/her cumulative GPA, including the above extra courses, meets the quality standards in effect at the time when all other graduation requirements were satisfied. A diploma is a document listing the school awarding the degree, the type of degree being awarded, the campus awarding the degree, and the date the degree was conferred. An official transcript or a complete academic record of degree posting will include the type of degree; cooperative education or honors curriculum; any fields of study, minors, or specializations; campus where the degree was awarded; and the date the degree was conferred. A candidate for the baccalaureate degree with distinction must have a minimum of 65 hours of credit earned at Purdue University included in the computation of the overall GPA. A candidate for an associate degree with distinction must have a minimum of 35 hours of credit earned at Purdue University included in the computation of the overall GPA. The minimum graduation index for graduation with distinction in each college shall be no less than the 90th percentile of the graduation indexes of the graduates in each college, for the spring semester, provided that the index is at least 3.30. The minimum overall GPA so determined in the spring for each college shall be applied for graduation with distinction for the subsequent summer session and fall semester. In administering this rule, all baccalaureate engineering graduates will be considered as one school. Of those graduates who qualify for distinction under these rules for the spring semester, the three-tenths of the baccalaureate graduates having the highest overall GPA shall be designated as graduating with highest distinction, irrespective of the colleges from which they graduate. The three-tenths of the spring associate degree graduates having the highest graduation indexes will be designated as graduating with highest distinction. The minimum overall GPA so determined for graduation with highest distinction shall be applied for graduation with highest distinction for the subsequent summer session and fall semester. Specific deadlines for the various requirements for graduate degrees are outlined on the Graduate School website and must be met as specified. All degree requirements for undergraduate and professional degrees are to be met as of the end of the academic session in which the degree is to be conferred. In the event that academic requirements for an undergraduate or professional degree have not been met as of the end of the session, the candidate’s school may grant an extension of time, not to exceed 30 calendar days following the end of the session, for these requirements to be completed in order for the degree to be conferred for that session. Academic requirements that have not been completed, as of the end of the 30-day period, shall disqualify the student from receiving the degree in the intended session and shall delay the conferring of the degree until the end of the next session in which the student is duly registered and all degree requirements have been completed. Purdue University Northwest conducts commencement ceremonies twice each year. The May commencement ceremony is for students who have completed all graduation requirements by the end of the Spring semester. The December commencement ceremony is for students who have completed all graduation requirements by the end of the Summer session and for students who will meet their requirements at the end of the Fall semester. For more information about the commencement schedule, please contact the Office of the Registrar at 219-989-2210. Purdue University Northwest provides 8 semester plans of study for every bachelor degree program. A plan of study (or degree map) is a recommended sequence of classes designed to show how a program can be completed within four years.